With New Years right around the corner you may find yourself planning for your next holiday party. While Christmas is all about traditions, New Years is about new beginnings and excitement. Finding New Years Eve party ideas to wow your guests can be challenging but The Pierogi Lady can help bring a unique touch to your get-together. The Pierogi Lady’s dessert pierogies can add a special touch to your holiday menu. When gathering a large group of people together it can be hard to find party food that will satisfy everyone’s tastes. The Pierogi Lady provides a large assortment of desserts for Hartville, Ohio; Uniontown, Ohio; and Akron, Ohio customers. The New Year is approaching, and with it many new choices. Will you follow your New Year’s resolution? Will you finally ask for that promotion? Will you remodel the kitchen like you’ve wanted to do for years now? If your kitchen is looking outdated and you’re ready for a new feel to it, then Windy Hill Hardwoods in Canal Fulton, Ohio can help make that dream a reality. Featuring only the finest in cabinetry, Windy Hill Hardwoods has solid hardwood cabinet doors on all their amazing JMark Cabinets. Does your Wooster, Ohio kitchen need a little more than just cabinets along the walls? Then why not consider getting some kitchen island cabinets? Just as you would with your wall cabinets, these cabinets will be made with the same quality construction you expect. While updating your Orrville, Ohio kitchen, don’t forget the granite countertops to match! 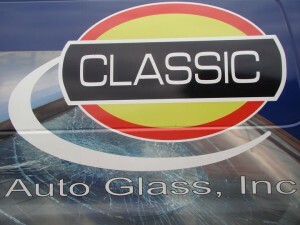 Classic Auto Glass in Canton, Ohio Keeps Your Car Windshield Visibility at Its Best! Old man winter is right around the corner in Alliance, Ohio! And when it comes, it will come with fury! The Massillon, Ohio streets will get icy and slick. The plow companies will be on call round the clock to throw salt and rocks to keep the roads safe. While the salt may keep our roads from getting too icy, it will cause much abuse for our car windshield visibility. That’s why it is important to prevent glass cracks and fix chips in the windows quickly to prevent major damage. Classic Auto Glass in Canton, Ohio can help with all of your winter auto glass repairs. Having been in the glass business for over 20 years, they understand the importance of great customer service by offering the best materials and best service at the best price! Winter is in full swing, bringing with it ice and snow that can make driving treacherous. Is your vehicle prepared? 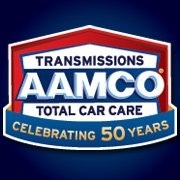 Whether it’s something as small as an oil change or more detailed like a tune-up, AAMCO Total Car Care in Canton, Ohio is the place to go. It’s sometimes hard to find someone to do a reliable brake repair, but with AAMCO, you get honest car information and work done at a reliable price. Not only that but AAMCO also offers free check engine light services with their online coupon to help you diagnose any problem your vehicle may be having before the roads become any more treacherous for drivers like you. After all, the weather in Northeast Ohio can turn on a dime from bad to worse. With this complete auto repair shop working on your Stark County, Ohio vehicle, you can rest assured that your vehicle is in great hands and will be in even better working order when you get it back. As the temperature begins to drop you will want to be sure your gas or oil furnace is working properly. Winter is a crucial part of ensuring longer life of your furnace. Living in North Canton, Ohio; Canton, Ohio, and Massillon, Ohio means that the weather is unpredictable and not having a working furnace when a snow front comes through can cause trouble for you and your family. All Type Heating & Cooling LLC helps you find a way to efficiently heat your home and cut down on the cost. If you have been looking for an affordable gas furnace cleaning or an energy-efficient heating pump for this winter, All Type Heating & Cooling LLC can help. If your business prepares for a trade show and you’re looking for a creative way to promote your company, Sign-A-Rama Canton’s pop-up signs can help bring life to your business. In a room full of trade show graphics, it is important to stand out and make your name memorable. Sign-A-Rama Canton’s portable signs are perfect for trade shows and promoting your North Canton, Ohio; Canton, Ohio; or Massillon, Ohio business hassle-free. As the holidays grow closer and closer, you may find yourself questioning what you’re going to do for your family Christmas party. Whether it is your first time hosting a holiday get-together or you are a seasoned expert, finding a new way to celebrate the holidays can be fun for your family and friends. A1 Japan Steakhouse can cater to private parties, making your next holiday event personal and memorable. For those in North Canton, Ohio; Canton, Ohio; and Massillon, Ohio, A1 can help you host your next event. Today’s fast paced society spends a lot of time relying on social media and internet sources to get their information on everything from their new pair of shoes to their health. Though the internet can be a scary place where information isn’t always reliable, this isn’t always the case. On Medicine Center Pharmacy’s Facebook page you can find reliable customer feedback on everything from pet prescriptions to pharmacy specials for Northeast Ohio. 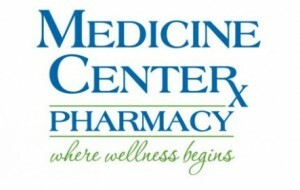 Medicine Center Pharmacy connects people from all over Ohio to each other and to the pharmacy using this social media site. Whether you’re from Louisville, Ohio, Canton, Ohio, or New Philadelphia, Ohio you’ll get the latest information on special prices available on your favorite pharmacy items and even updates on low-cost health screenings! The end of the year is quickly approaching and what better time is there to go through your annual car maintenance checklist? Money is always tight around the holidays, but when it comes to keeping your vehicle in good working condition, it never hurts to stay on top of maintenance. The last thing you want to do is have your vehicle break down while you are on your way to a holiday get-together in Canal Fulton, Ohio. Wales Auto Repair’s highly trained, ASE certified technicians will help ensure your vehicle is working smoothly regardless if you are planning on spending the holidays in North Canton, Ohio or are looking to travel outside of Stark County, Ohio. So whether you are looking to check car fluids, replace the tires or get a tune up, they will be able to give you the peace of mind you need during the winter months. How many times have you reached for a nice, cold glass of water in your Massillon, Ohio or North Canton, Ohio home only to be disappointed by that first sip of metallic tasting liquid or water that tastes like a swimming pool? Vern Dale’s Water Center in Canton, Ohio prides itself on improving water quality in homes like yours. They offer some of the most up to date advances in water treatment services.